The need for accurate translation from Russian to English, and translation from English to Russian, is growing rapidly. 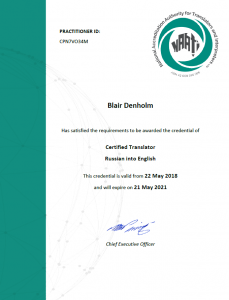 Do you have documentation that requires NAATI (National Accreditation Authority for Translators and Interpreters) certified translation from Russian into English? Turn-around time is extremely fast, and all of your translations will be error free. There are two paths you could take to get your Russian translation work done. You could give the job to one of those agencies that handles every language under the sun, or you could entrust the task to us. Whatever your Russian translation needs, we can help you. We are competitively priced, with quality and timeliness of delivery assured. We will gladly answer all of your questions relating to Russian translation, business with Russian companies or even immigration assistance. 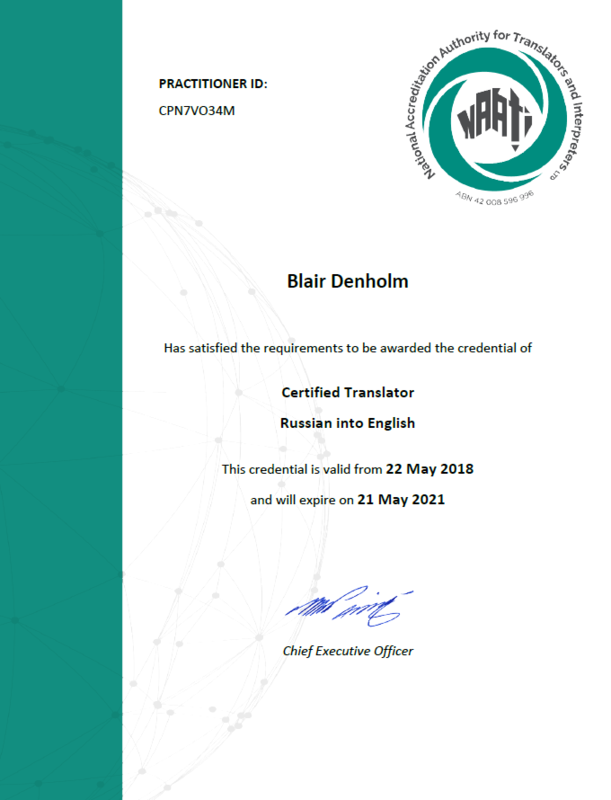 We can provide Russian translation, interpretation and related services Australia wide, and have clients in Sydney, Melbourne, Brisbane, Perth, Adelaide and Hobart as well as regional centres.